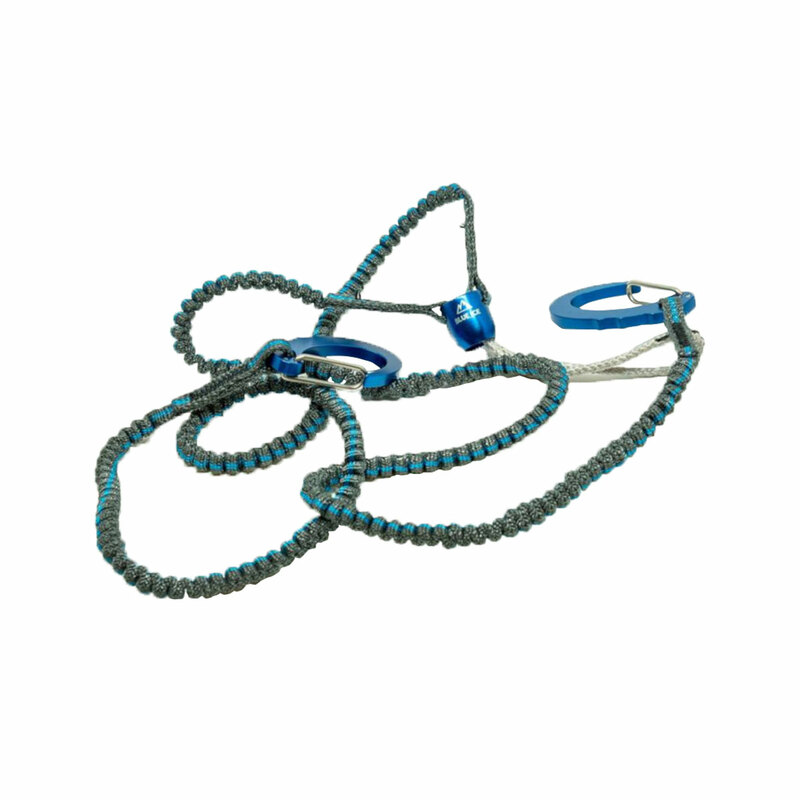 The Blue Ice Hydra is an ultralight leash system with high spring tension carabiners on a rotating harness attachment, to prevent you from losing your tools. Useful in alpine, mixed or ice climbing, and compatible with all types of piolet, the Hydra leash allows you to quickly connect your tools with two wide gate opening carabiners. The lightweight ball-and-socket allows you to manipulate your tools with 360° freedom of movement. At 55 grams the Hydra Leash is 25% lighter than the next lightest swivel leash on the market, an essential tool for your boldest alpine, mixed and ice projects.